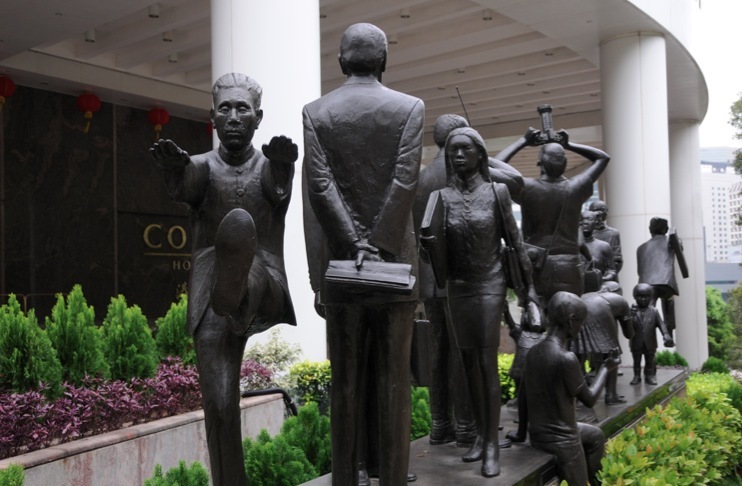 In front of the Conrad Hotel in Admiralty is an interesting statue – it depicts Hong Kong people live in action. 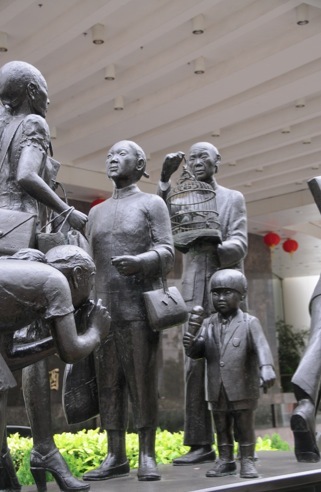 There are business people in suits, children with toys, tourists taking pictures, an elderly man with his bird in a bird cage and a number of different funny characters. It is very detailed and done with love – I just love the faces of the people, they make me smile. I tried to find out more about it on the Internet, but so far, I’ve failed. If anyone knows more about this statue, just leave me a comment please. 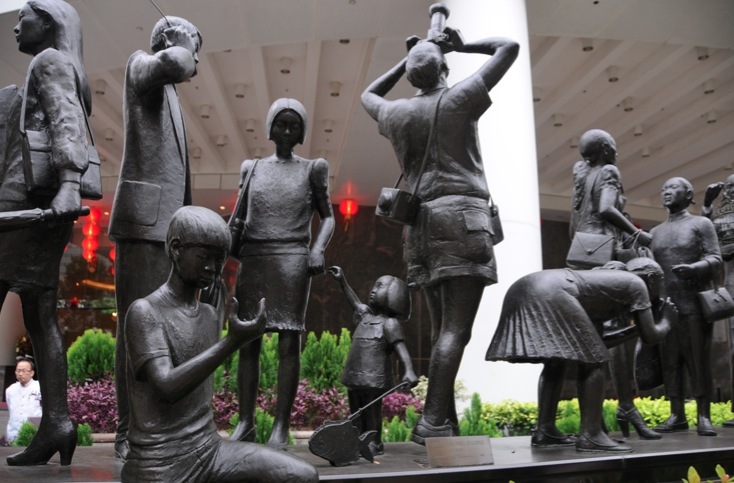 This sculpture, Hong Kong People is a piece by Kirk Newman and other pieces from him cab be seen in Kalamazoo (Michigan). 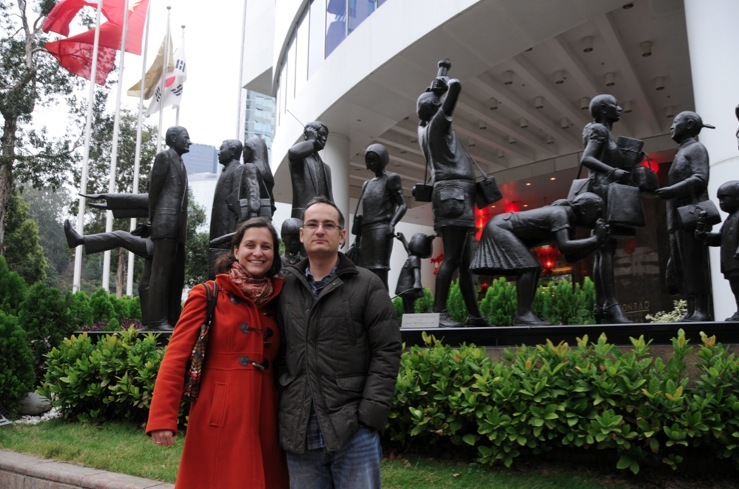 Are interesting and funny sculptures.